As part of an Open Project Fund award from Creative Scotland, a two-year pilot project designed to increase and enhance access to the garden both for the public and for artists. 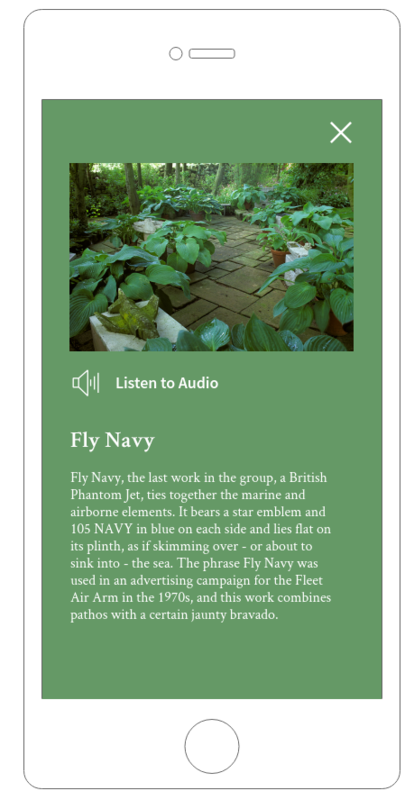 This guide app was one aspect of that. Intended to aid help educated visitors to the site about the nuances of selected artworks including their context, history, and location in some cases. Users would arrive on site and receive an iPad. Users would then wander around the garden. When in a predefined range of a tagged artwork, information would appear on the iPad. 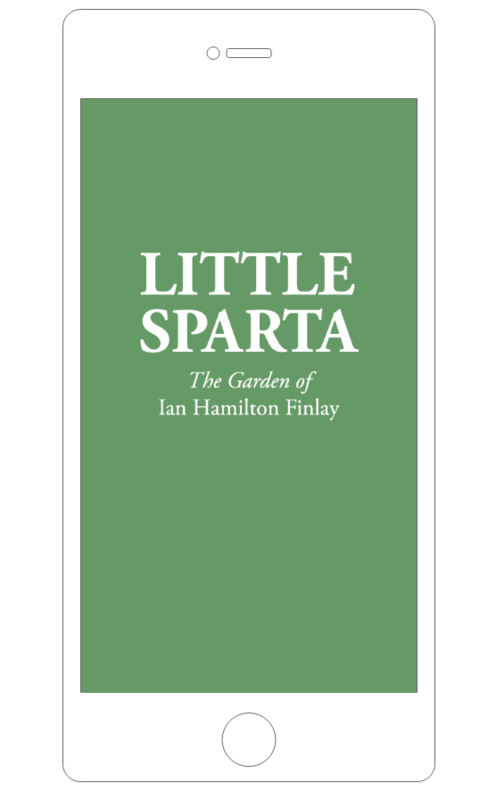 This would range from a photograph with a basic bio of the piece as well as a wealth of information the Little Sparta Gardener George Gilliland had amassed throughout his time there. A key challenge of this project was identifying when a user was near a selected artwork. It was paramount to the Little Sparta Trust that no alien objects were introduced to the garden. It was decided that the use of ibeacons submerged into the ground would allow us to locate users proximity to artworks while leaving no visual markers in the garden.